Why did the golfer's wife ask to be buried on the golf course? So she could be sure her husband would visit her grave. After a long day on the fairway, put away the patterned jumper and five-iron and laugh off the double-bogeys with this selection of hysterical jokes. 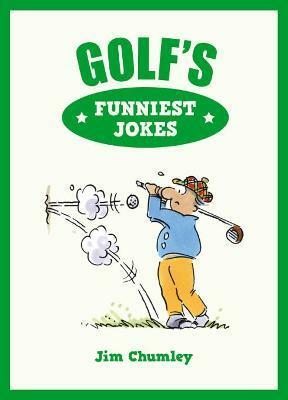 Golf's Funniest Jokes will suit golf fanatics to a tee. Jim Chumley is the author of the Funniest Jokes series, which include Football's Funniest Jokes and Rugby's Funniest Jokes.